Brades Staircase Locks 1 & 2. 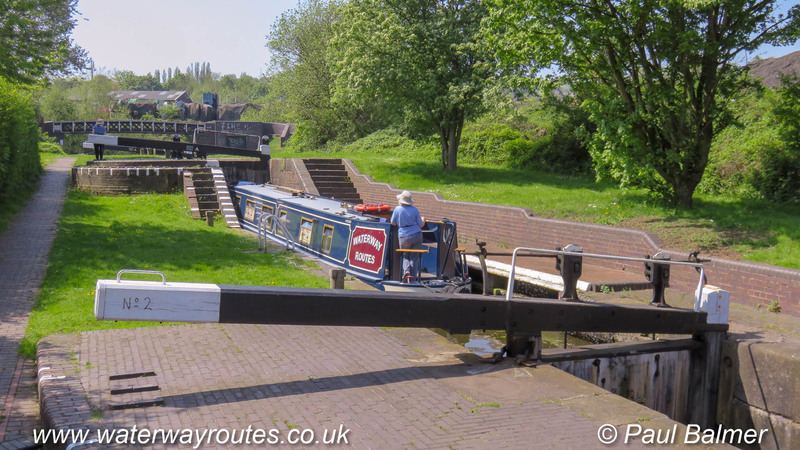 Brades Locks 1 and 2 form a staircase, the only staircase on the Birmingham Canal Navigations. In staircase locks the top gate of the lower lock forms the bottom gate of the upper lock and the boat can move between the locks when the water is level.